The Australian Government’s commitment to the North-South Corridor involves the upgrade of the corridor between Gawler in the north and Old Noarlunga in the south. The North-South Corridor facilitates freight movements to and from Adelaide Airport, the Port of Adelaide and surrounding industrial areas. The corridor is a critical route for the movement of freight and business-related passenger traffic, connecting the Port of Adelaide, Adelaide Airport, the Islington intermodal terminal and other freight terminals. An upgraded North-South Road Corridor will improve freight transport productivity and decrease commuter travel times in Adelaide. Key projects currently under construction as part of the North-South include the Northern Connector, Torrens Road to River Torrens and the Darlington Upgrade. 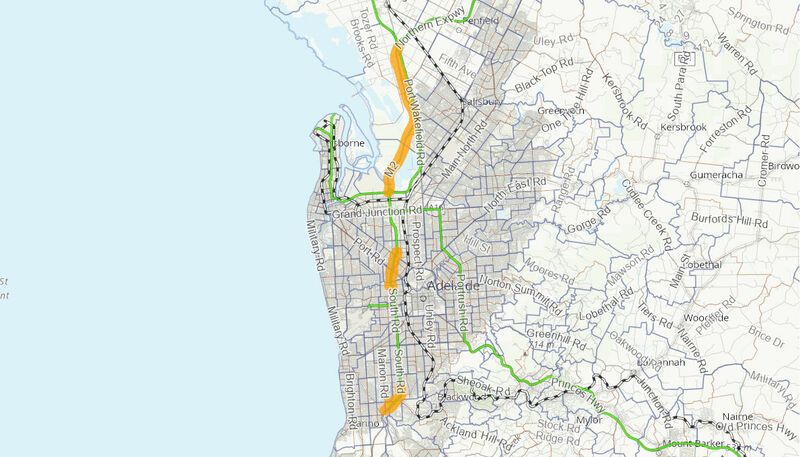 The Australian Government has also recently announced funding for the Regency Road to Pym Street project and future priorities along the North-South Corridor, which are currently in planning. An upgraded North-South Corridor will improve freight transport productivity in Adelaide. The corridor is a critical route for the movement of freight and business-related passenger traffic, connecting the Port of Adelaide, Adelaide Airport, the Islington intermodal terminal and other freight terminals. Improvements to the corridor will contribute to enhanced productivity and increased competitiveness for export industries. The projects are expected to improve safety by creating a free flowing link along one of Adelaide's most important transport corridors and complete a non-stop 78 kilometre motorway between Gawler and Old Noarlunga. The Australian Government has committed up to $4.5 billion to critical projects on the North-South Corridor. Funding includes $400.5 million towards the Torrens Road to River Torrens project, $708 million towards the Northern Connector, $496 million towards the Darlington Upgrade, $177 million towards the Regency Road to Pym Street project and $2.71 billion towards future stages on the North-South Corridor. Work on the Torrens to Torrens project began August 2015. Work on the Darlington and Northern Connector projects began in 2016. Work completed in 2018 on the Torrens to Torren project and work is expected to be completed late 2019 on the Darlington Upgrade project and the Northern Connector projects. Work is expected to commence on the Regecy Road to Pym Street project in 2019 and be completed in 2022.